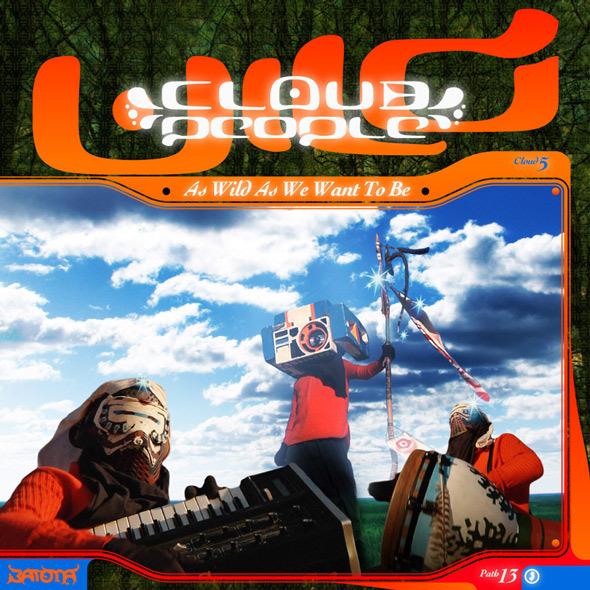 Cloud People | Cloud People "As Wild As We Want To Be"
As Wild As We Want To Be by Cloud People The wintery contemplation of The Wilds is over�it's time for fun. The Micromoog is warm and the summer sun still shines. Here we are, being as wild as want to be, so we called this collection just that. Behold, lovely surface dwellers, our most exciting and vocal effort to date. Our wild side shines once again through what will sound like an unfamiliar tongue in Nubbanoc-Noc (A Pine Barrens Summer Folk Song): Sam Moskalik on djembe; Evan Wilder on drums, vocals; Cloud People on what sounds like vocoder and the Micromoog synthesizer. We point to the heart of Cloud People country and share the story of Giant Sky Man, whom which bestows the heavenly sounds upon our sacred pine covered grounds. Download this (pay if you want) and play it into the colder months to take the light of summer with you. Synths, samples, drum kit, vocals, mix & production by Evan Wilder. Vocoder vocals and Micromoog jam by Cloud People.